The reinterpretation of Carmina Burana by La Fura dels Baus continues its tour all around Spain. Carl Orff‘s cantata, directed by Carlus Padrissa, will be performed at the Teatro Olympia in Valencia, from May 30 to June 9. Tickets can already be purchased through this link. Carl Orff‘s cantata, directed by Carlus Padrissa, will continue its tour in Madrid (from 12 to 30/06). All the performances can be purchased through the show’s website. La Fura dels Baus designed an exciting Carmina Burana, where the viewer, through shocking scenes, special effects and even spring fragrances, delves into the strong and visceral music of Carl Orff. The show is performed live by a double ensemble orchestra. 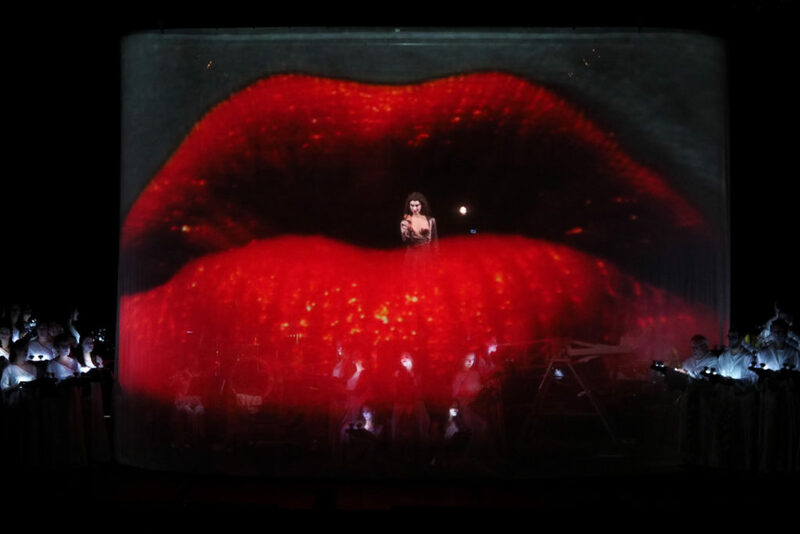 A cylinder of ten meters in diameter surrounds the orchestra on stage while some images, projected on it, illustrate the work. A giant moon, waterfalls, floral ecstasy, a live harvest, wine, water and fire. About 200,000 spectators have enjoyed this show by La Fura dels Baus all around the world.